There’s nothing I can say here to do justice to how much of a loss we’ve just suffered with the passing of my Dad. He was a great man, and will always be my hero. Thanks and congratulations to Lorraine Price of the Harwich and Manningtree Standard for this lovely article. Old Policemen never die they just fade away but in the hearts of all who love them they will be there for evermore. They shall not grow old, nor the years condemn. 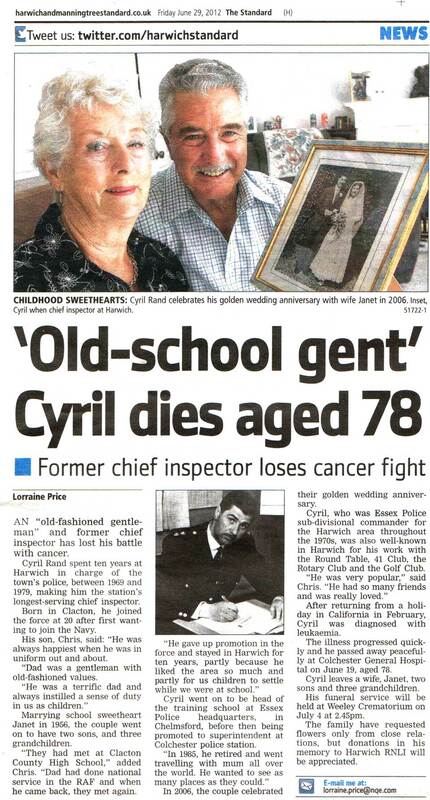 Medway NARPO sends it’s sincere best wishes to all family and friends of this great gentle man.